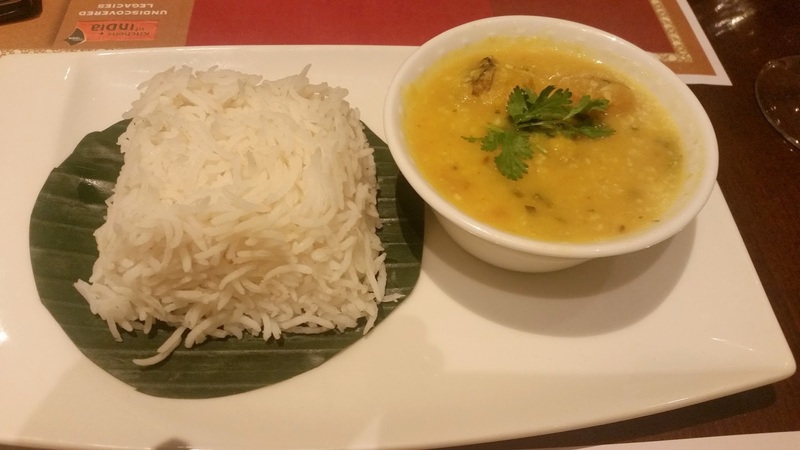 Hyderabad has quite a few good Bengali restaurants which have made their mark in the city. But still, the Bengalis here eagerly await the Bengali food festivals organized periodically by various hotels, most of which are usually bunched together around festive times like Durga Puja or Poila Baisakh. It was a refreshing change to see ITC Kakatiya showcasing Bengali cuisine in January as part of their Kitchens of Asia initiative. Chef Dani from ITC Sonar Bangla at Kolkata has been specifically invited to Hyderabad to curate the festival. 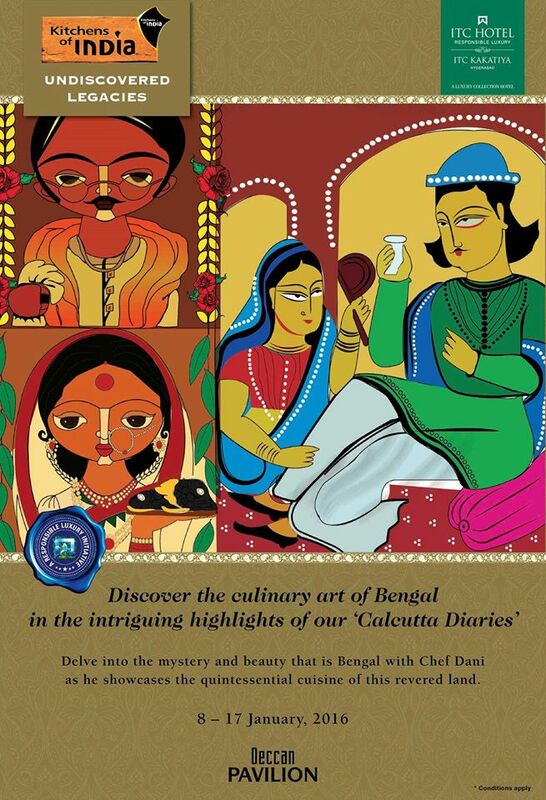 Chef Dani informed us that he had made an effort to present the cuisine from different parts of Bengal in the promotion. Also a few old recipes have been revived in this initiative. 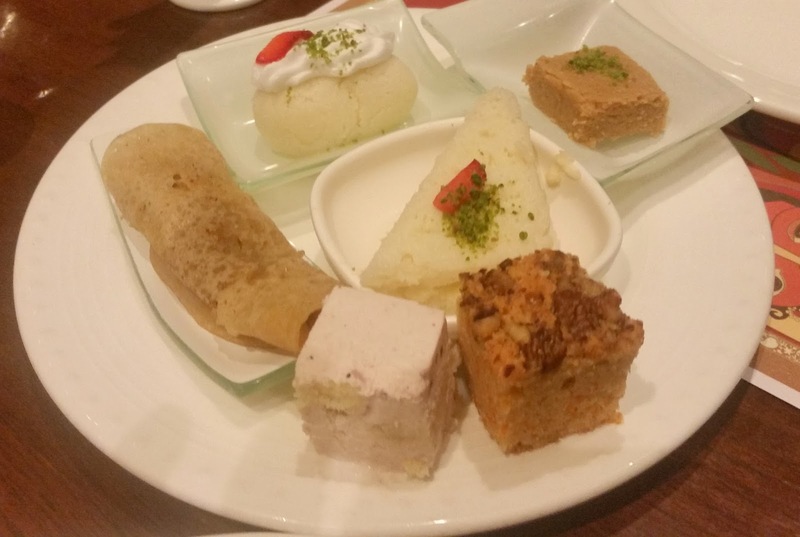 Invited for a review of the promotion, which is part of the buffet at Deccan Pavilion, we first tried out some snacks which had been specially prepared. The Kabiraji Cutlet was the pick of these – a chicken cutlet covered with egg fluff. I was reminded of a recent debate on social media whether the name “Kabiraji” actually came from the word “coverage” as is widely believed. 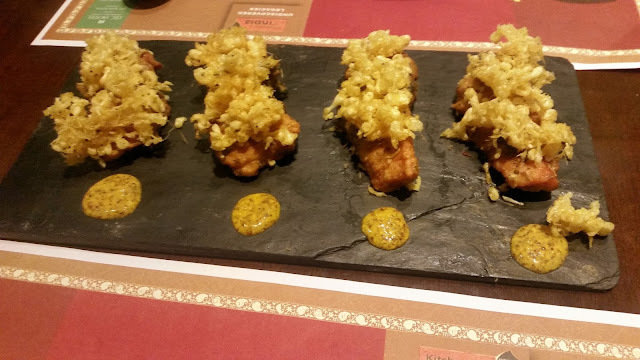 But more on that some other time – the cutlets were very well prepared, and specially the flavourful kasundi or Bengali mustard sauce served with it was just too good. Aloo-r Chop was one of the affordable Bengali snacks that I used to savour during my childhood – and it was thoughtful of the chef to include this street favourite in the menu. 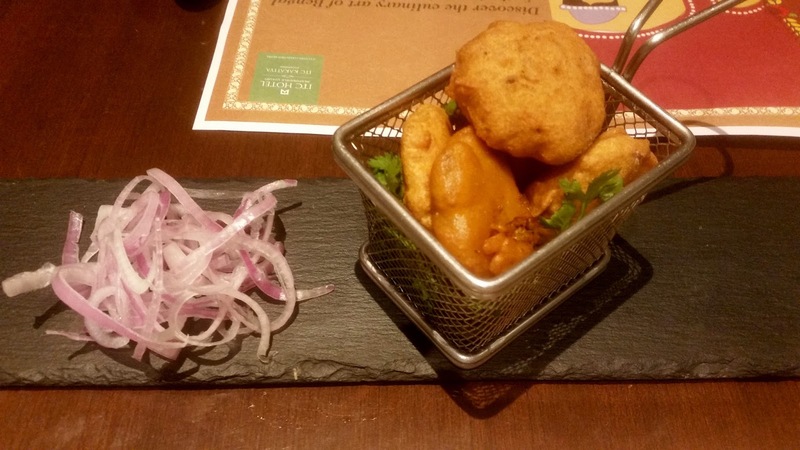 It is essentially potato fritters, where the potato is boiled and mashed along with its jacket and spices added to it, before dipping it in besan. The presentation was good, but on tasting I felt I would have liked a little more masala in the chop. Next it was the celebratory Luchi (maida poori for the uninitiated) time. The perfect foil with the hot and round Luchis was Aloo-r Tarkari, a simple potato-based preparation with kalonji and green chillies. The combo is extremely popular at home as it is easy to rustle up when a guest drops in. The preparation here was simple, and homely, deserving a second helping. 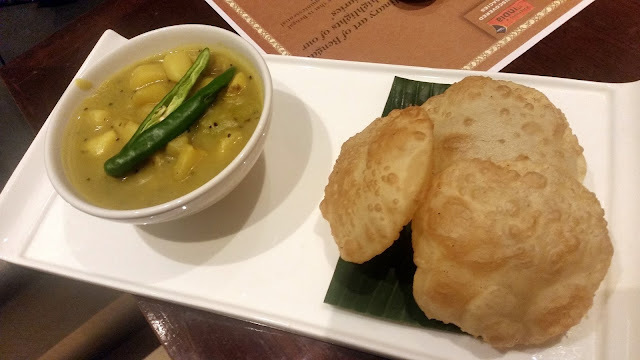 The other item which worked wonders with luchi was Golbarir Kosha Mangsho – a vintage Bengali preparation of mutton from a specific restaurant in North Kolkata. I can safely say that this was the best item on the buffet and as authentic as you find it at Shyambazar. 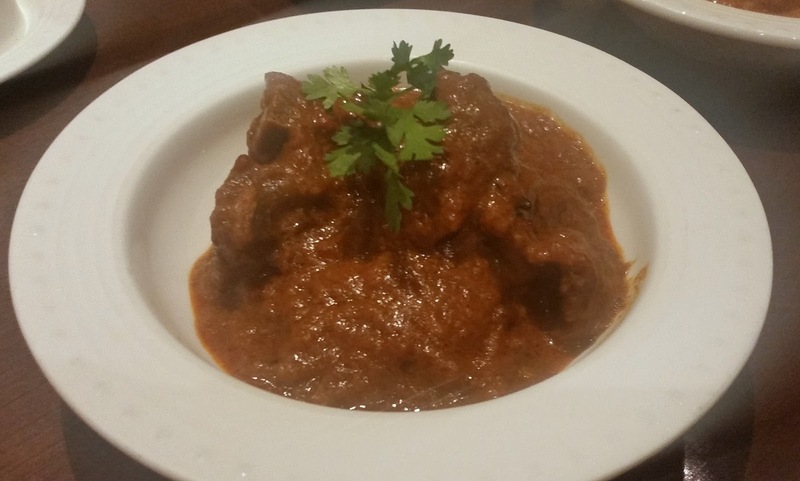 The mutton was cooked just the right amount, and the brown gravy was aromatic and rich. 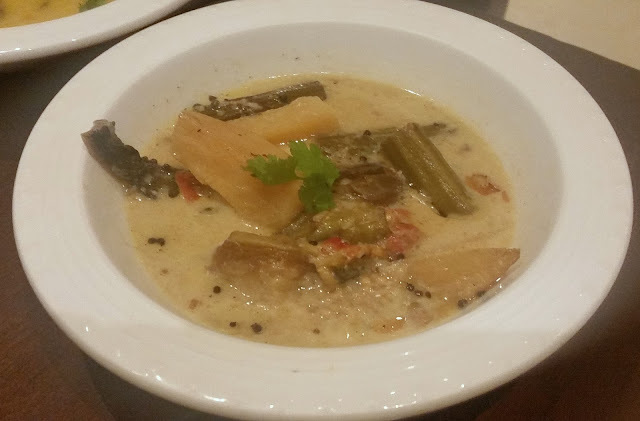 There was quite a bonanza for the vegetarians- Sukto, a light milk based mixed vegetable preparation to start the meal with, Dhokar Dalna, a curry prepared with lentil koftas and Dal Chandrachur, a moong dal preparation with grated coconuts and mangodi (vadi). The sukto among this deserves special mention as it was flavourful and worked well with the steamed basmati rice. Machher Jhol for the day was Bhetki fish in a tomato based gravy. The fish was soft and the slightly tangy taste of the gravy was appreciated by all. There was also a rich chicken dish which was nothing special though. I tried this with Dwarakanath Bhat, a special rice preparation which Chef Dani had located in old recipe books. Prawn Pulao was the other rice based item in the buffet. 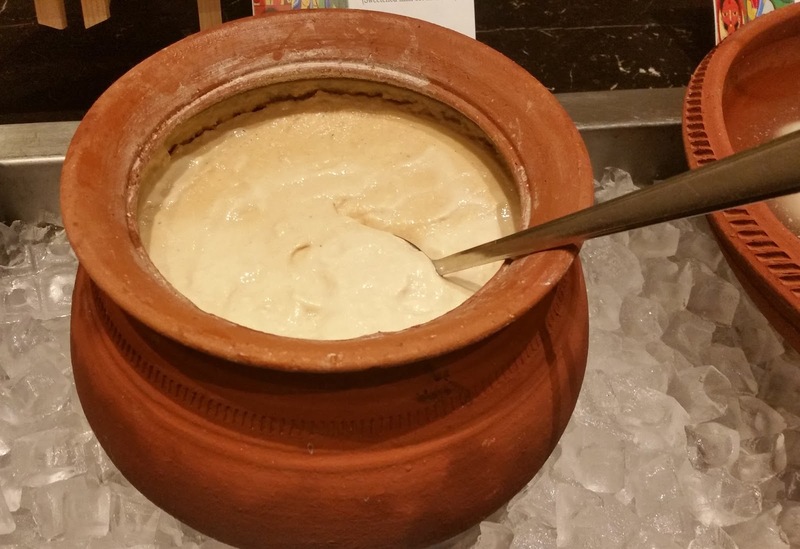 Among the Bengali desserts Rosogolla and Mishti Doi are considered the two must haves. In Hyderabad, many mithai shops have tried to replicate the taste of this Bengali sweet curd but the success rate has been fairly low. I was very happy to find that the Mishti Doi prepared for the promotion was at par with the offerings of any good mithai shop of Kolkata – both in texture and taste. I suggested to Executive Chef Paul that ITC must have it as part of their regular menu. Couple of chhana based sweets that were served on the day were the Malai Sandwich and Chum Chum, and these as well as the Rasagolla definitely satisfied the cravings of the dessert lovers who accompanied me. The Nolen Gurer Sandesh was too dry. I would have loved if Patisapta, or the Bengali version of stuffed pancake had more stuffing in general and more khoya in the filling along with coconut. It was a thoroughly enjoyable dinner. What I liked most was that Chef Dani has tried to make sure that most of the items were authentic preparations. Over the ten days, he plans to showcase more than hundred Bengali delicacies in this festival. 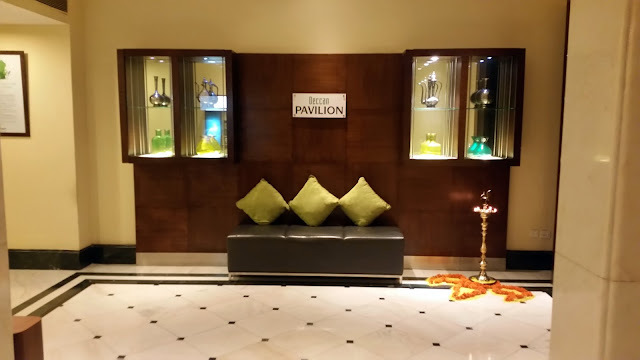 Apart from the Bengali items, the buffet at Deccan Pavillion also has Pan-Asian and Continental items on the menu, keeping in mind the in house regular guests of the hotel. The promotion priced around Rs 1700 AI is on till Sunday 17th January, and lovers of Bengali food will find it worthwhile to visit it. Disclaimer: The review is based on an invite by the restaurant. However, the opinion expressed in the post are honest and unbiased.